April 5, 2017 30 Comments This post may contain affiliate links. 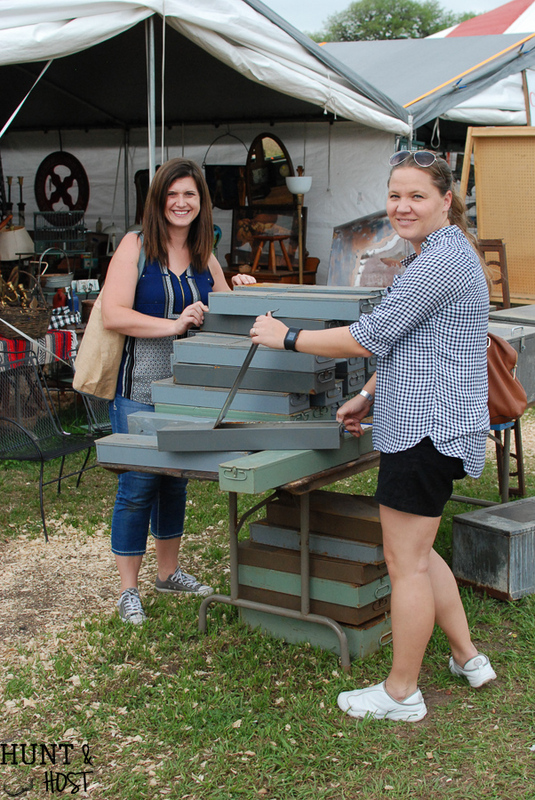 Round Top Antiques Week has come and gone yet again. It’s still my happy place. Aisles, rows, tents, miles and pastures full of the things I love. 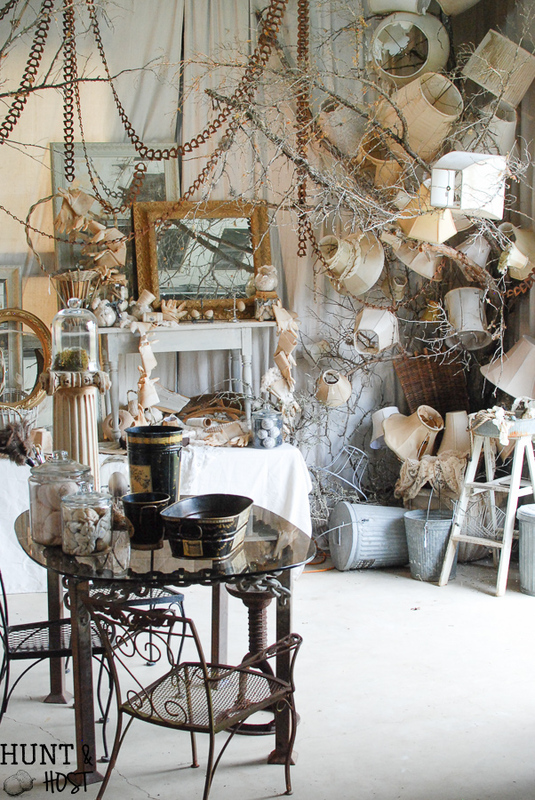 It’s a treasure hunter’s paradise. I took close to a gazillion pictures this go round so get your drooling eyes ready. As I hunt through the fields trends emerge. Slowly but surely things repeat and if you pay close attention you can see the trends coming and going. Here is what I saw this Spring 2017 Antiques Week Show! Galvanized Everything – This was obvious off the bat. 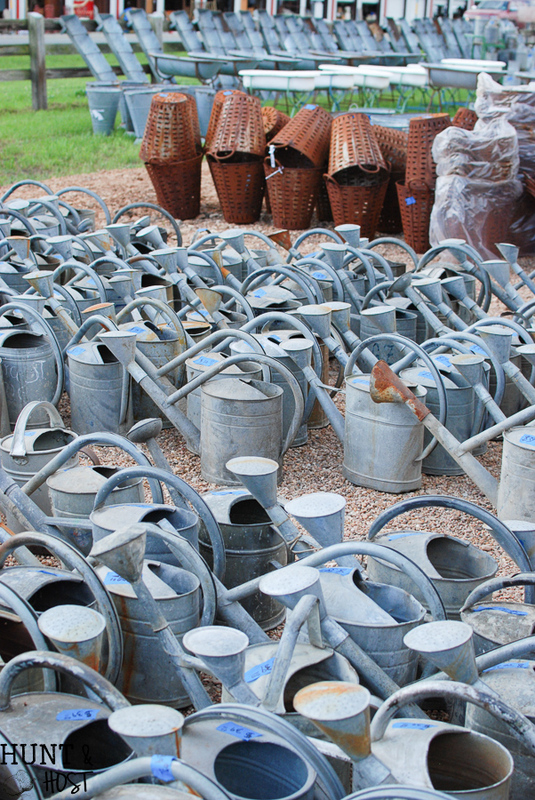 Galvanized goodies are everywhere you turn. 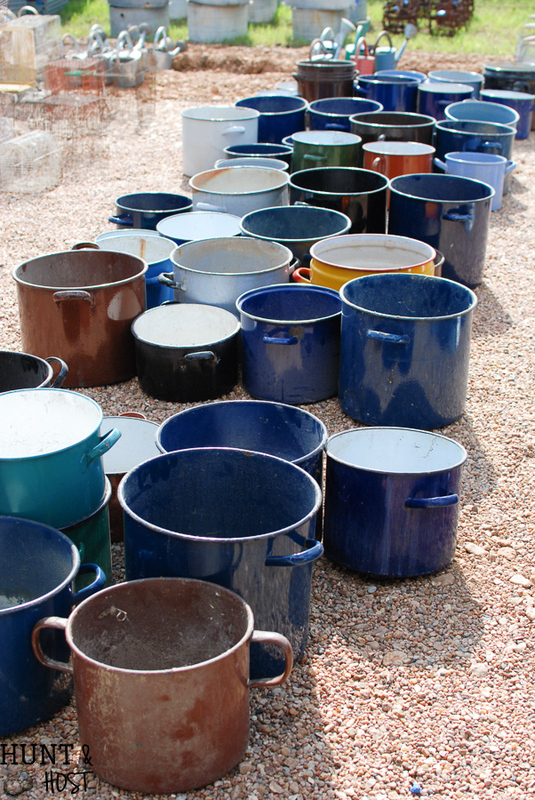 Buckets, chicken feeders, crates, plate chargers, watering cans. 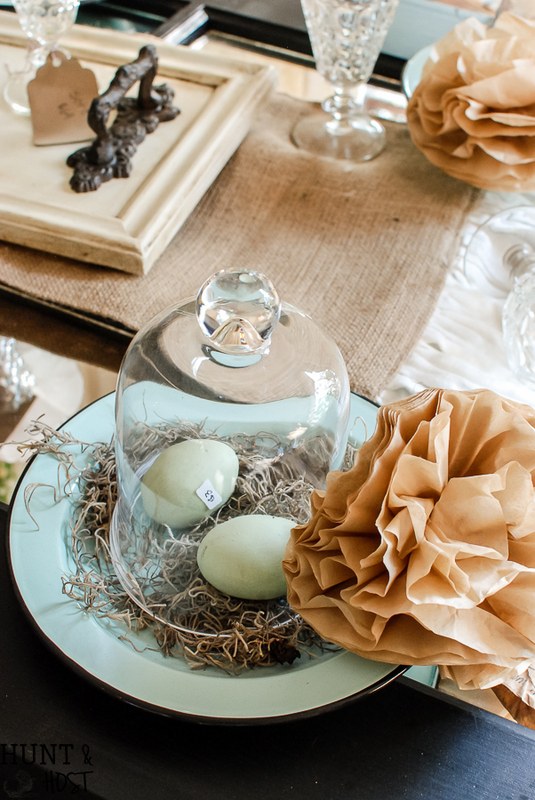 They all look amazing tucked in among your décor for an added element of farmhouse flair. 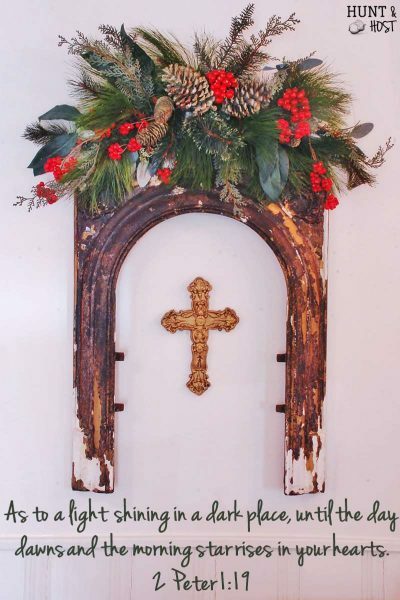 Indoor or out they can be painted for a pop of color or left plain metal. 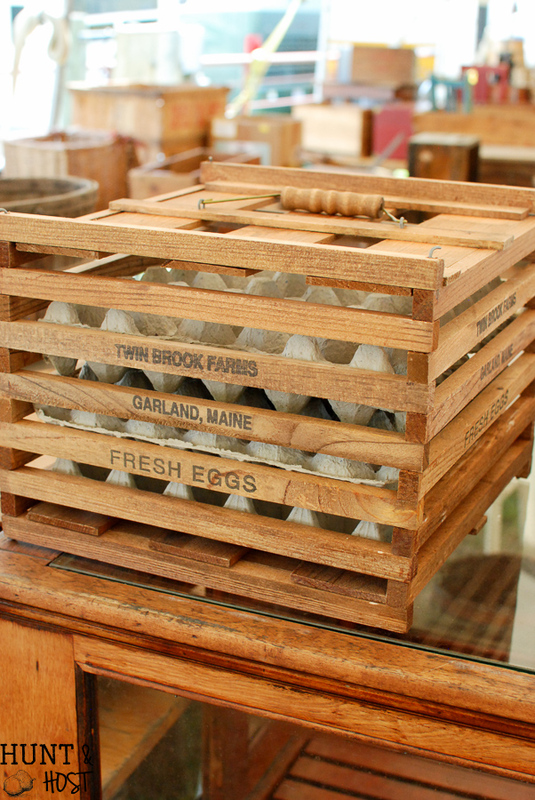 Wooden Crates – While wooden crates have been gaining popularity they were all over this year. I don’t see them leaving anytime soon either because they are such a versatile accessory. 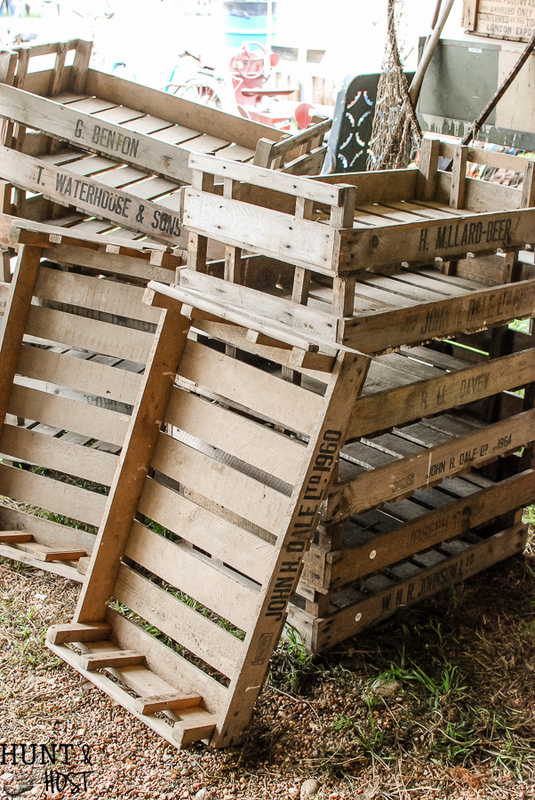 Great for storage, stacking or filling with your favorite vintage finds wooden crates are the way to go. 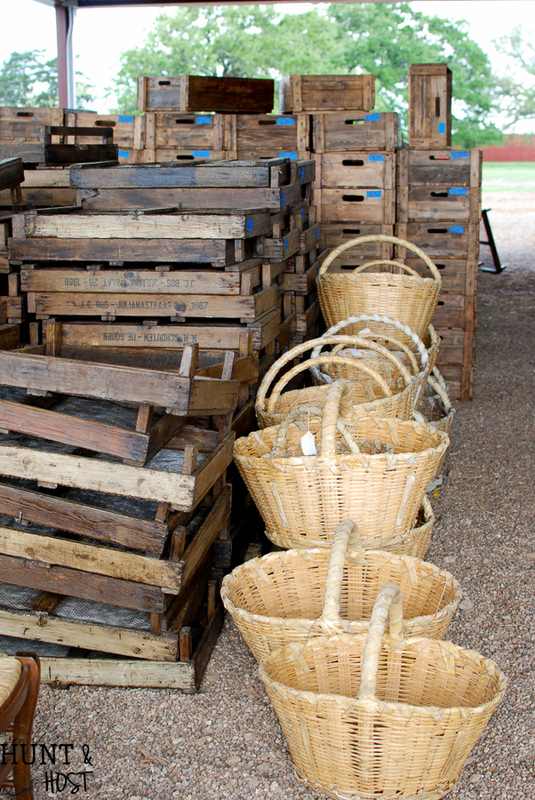 From milk crates, tulip trays, trough trays and toolboxes, crates where a popular find. The older the better. 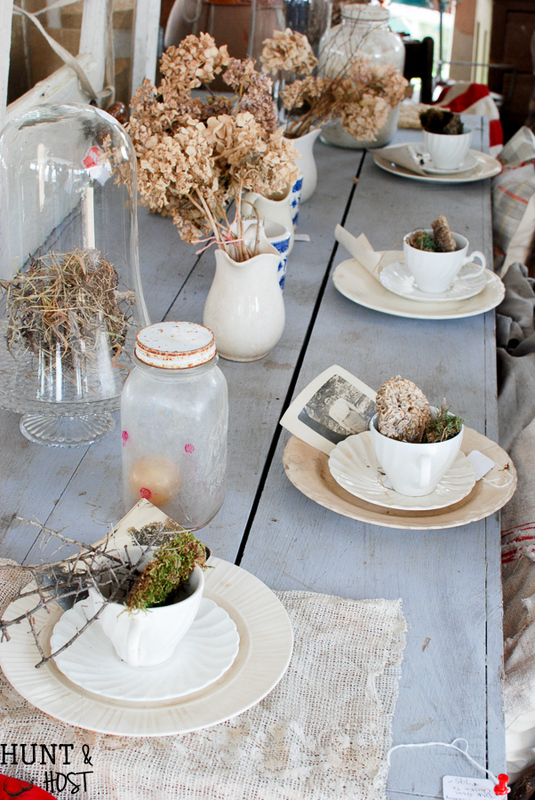 Nature Décor – Possibly my favorite trend of all and one I think is always in style…good old mother nature! Everywhere we went I saw leafless branches covered in lichen as a back drop to something fabulous. 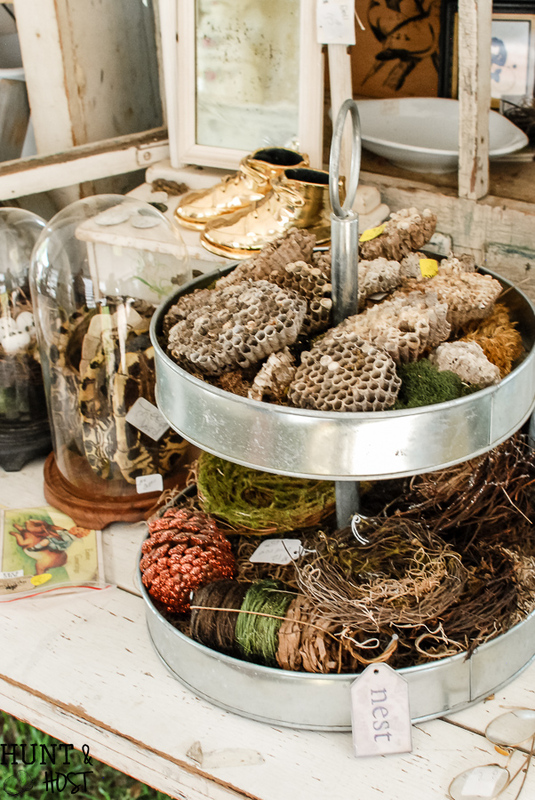 Hornet’s nests, turtle shells, wasp nests, bird’s nest, moss, fresh and dried greenery. EVERYWHERE and it was stunning. 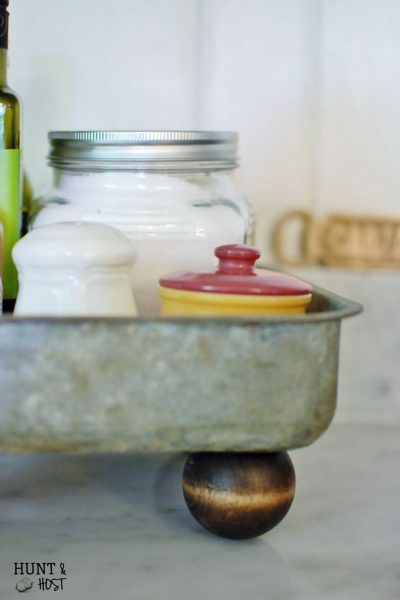 This is an easy element to add you your home, without traveling to Round Top. Walk outside and see what’s in style. These pics should inspire you for days! You’ll see multiple trends in many of the pictures here! 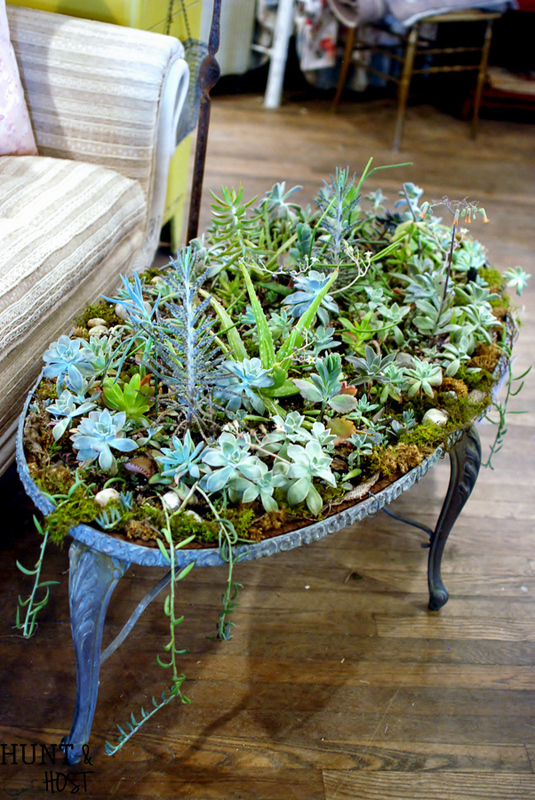 Succulents – While I thought succulents had kind of seen their day I am happy to say they were still a popular item. 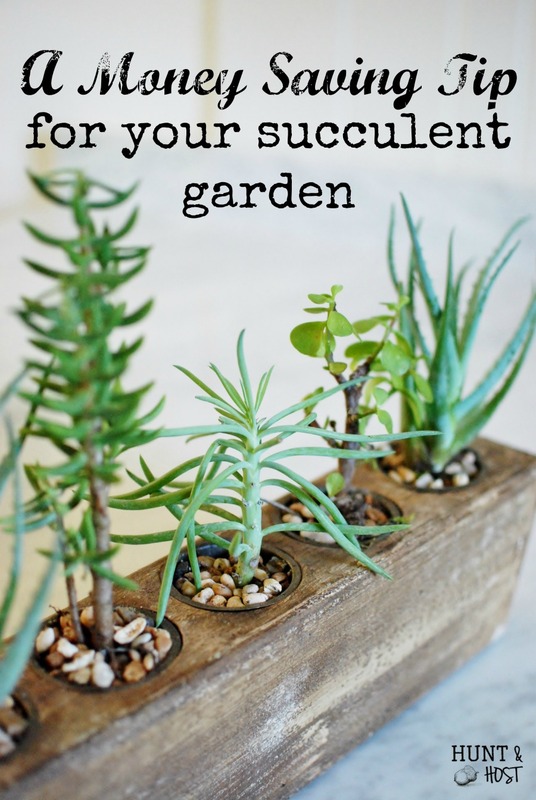 This seems like a trend that should fall under #3 on the list but succulents, while natural, are used in very different ways than the nature décor I saw. Crafty containers, small and sweet all the way up to a coffee table were laden with these sweet little plant treasures. 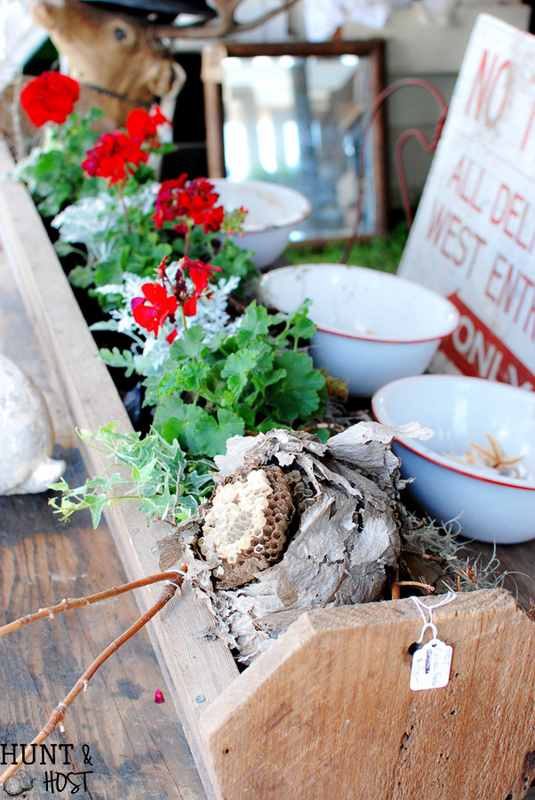 Potting benches with mounds of pots and succulents made me want to come home and have a planting party! 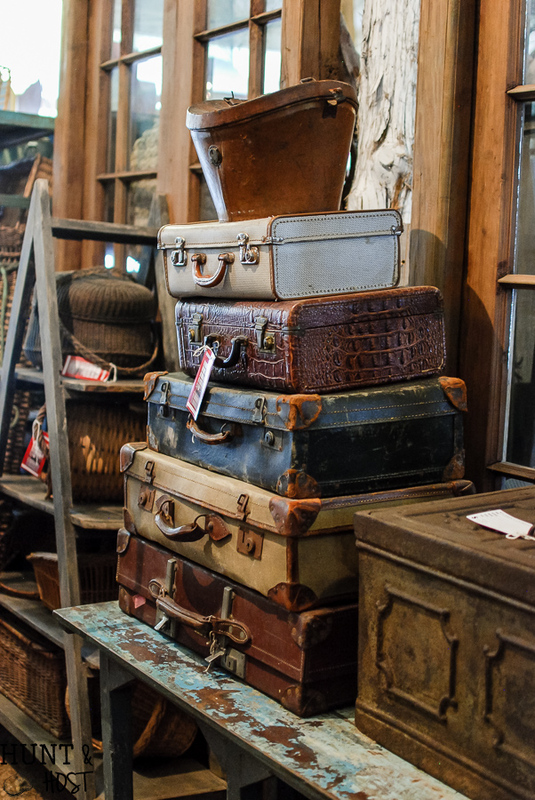 If you are starting to think you need to make a trip to Antiques Week, but aren’t sure how or who to go with, read about my Round Top Tour here! I’d love to take you with me. Unique Storage Items – I guess we all have to much stuff. Wherever you looked you had a choice of interesting storage choices. 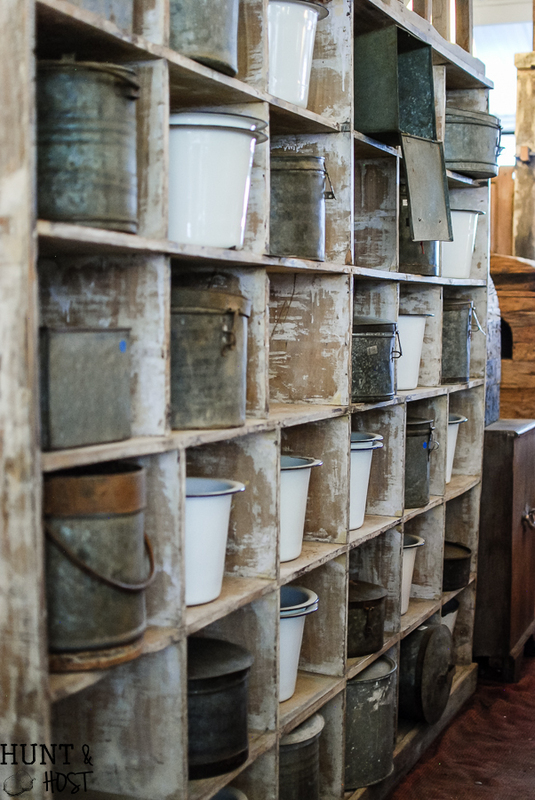 Wire baskets, old safe deposit boxes, enameled pots, trunks, milk crates. 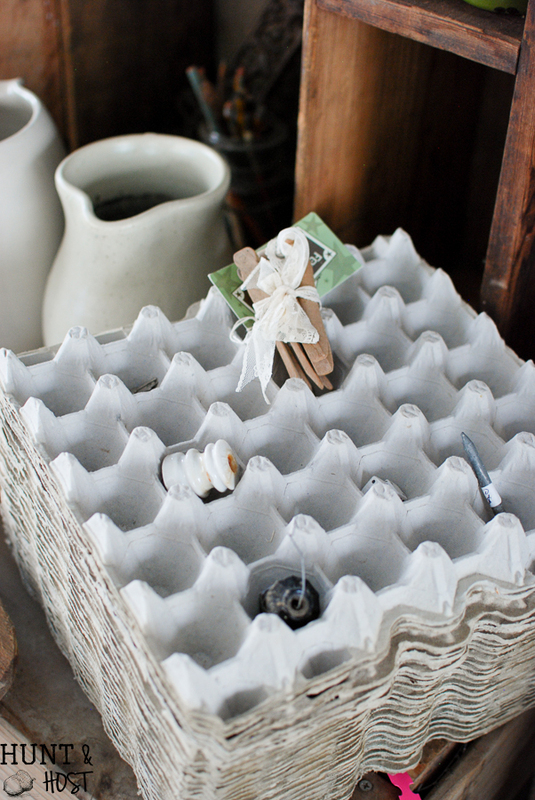 If you need more storage in your home look to unconventional items that serve dual purpose…pretty and useful! Textures – While texture in decorating always brings a room from dull to fabulous this Spring I noticed more and more layers of amazing texture. Mixing the popular elements from this list will make for an old world feel, a room with history and depth. Wire, wicker, galvanized, heavy metal and wood layered with the textures only nature gives…bark, moss, straw like nests. Scrumptious! 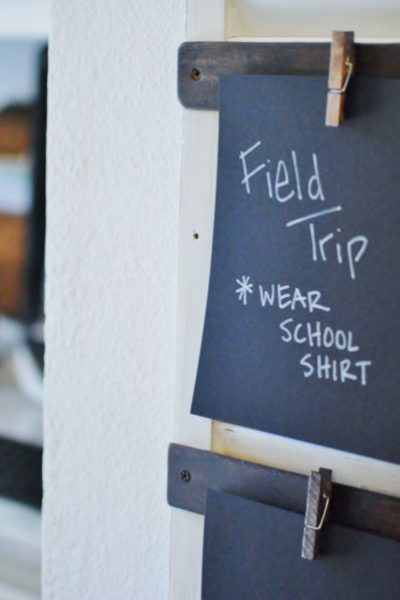 En Masse – This always makes the list. It may just be the way dealers display the multitude of items they have, but there is something to be said for items shown off in mass. A jar filled with tiny things makes a big impact. 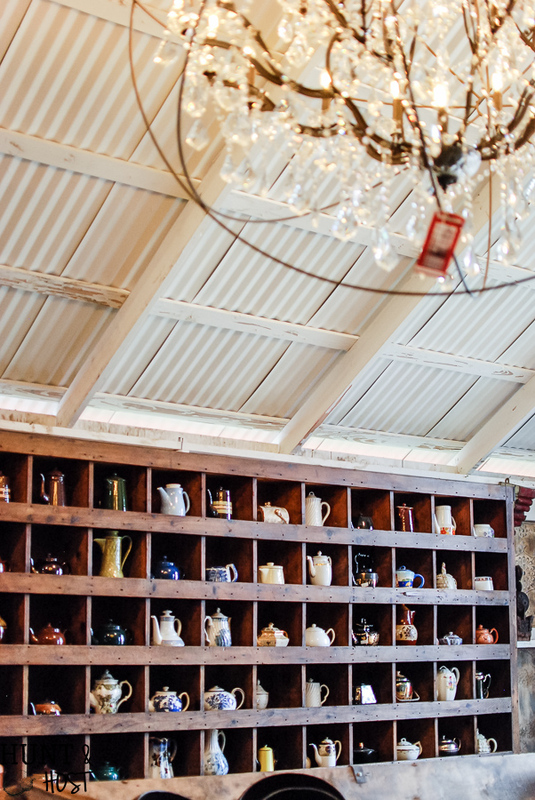 Shelves stuffed with gobs of silver or a mighty collection of tea pots. Makes me want to come home and pull all my stuff out of cabinets and shove it all together for the world to see. If you collect something take note, en masse is impressive! 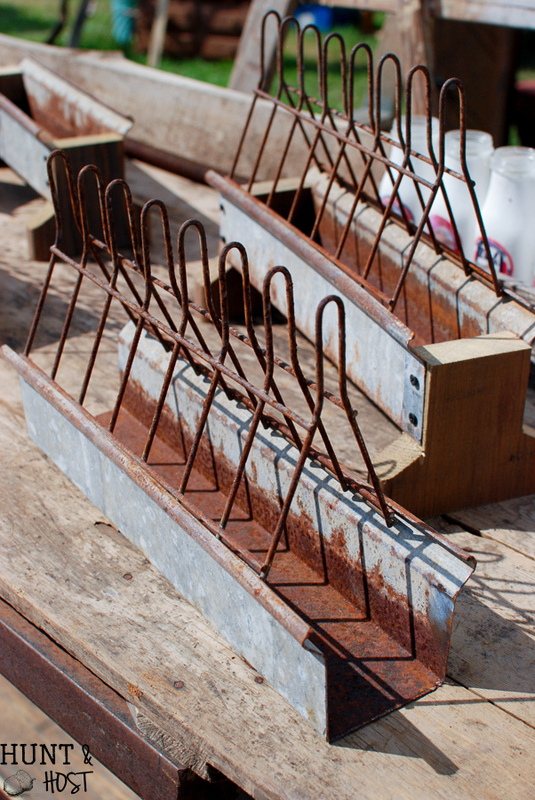 Chicken Accessories – Not necessarily for raising chickens, but for decorating. Maybe it’s because we are working on getting real chickens ourselves that I was drawn to all the chick gear available, but a huge variety of chicken accessories flooded the fields. With the popular rise of all things farmhouse this is not surprising. 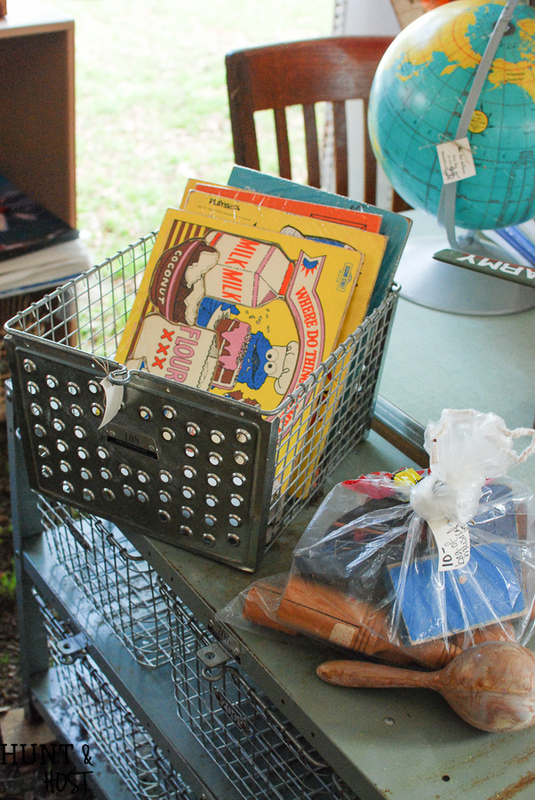 Nest boxes (that I bought), feeders, antique egg crates and chicken décor like pillows and grain sacks. Eggs were everywhere, as they should be in spring! Most people buy them for decorating purposes, I was probably one of the few actually trying to outfit a chicken coop lol! White and wood – While white bowed out of the shows somewhat last year it was back strong this year, paired with it’s gorgeous BFF wood. It’s a timeless combo that never gets old to me, especially when done right with the textures mentioned above. Layers of chippy, rusty white goodness showed off right and left this season. 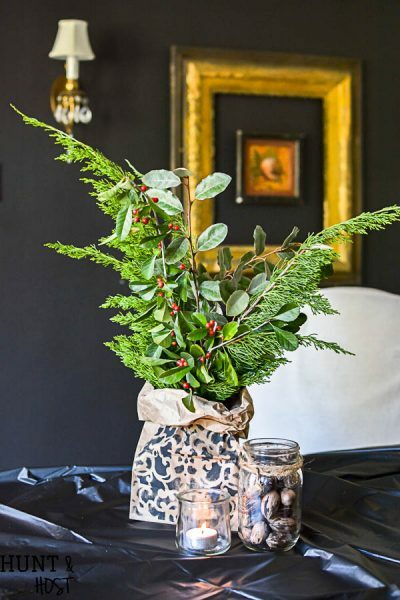 It’s like the little black dress of decorating. What I didn’t see – There appear to be a few things losing popularity. I still didn’t see tons of painted furniture. I think so many people are taking advantage of the fabulous paint products on the market and are busy painting their own stuff. The availability of lettered/typography signs was way down. 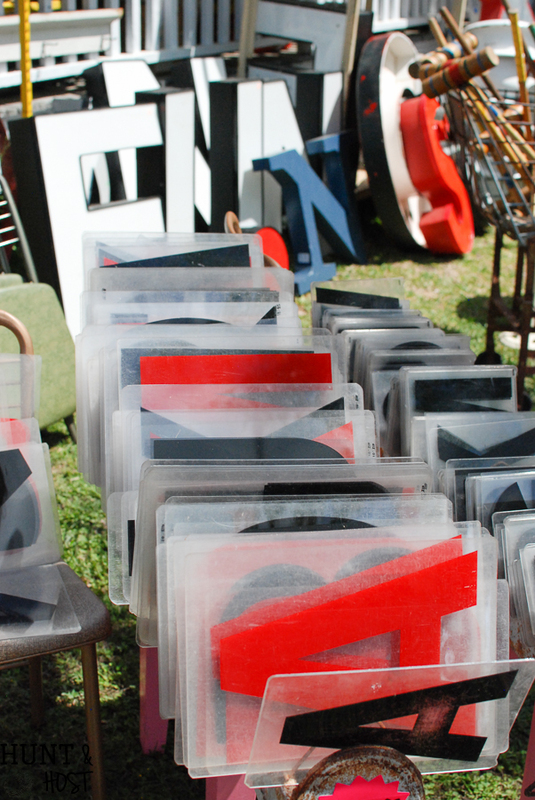 Old sign letters where not as popular either (like the big marquee letters, still a few but not as many). Awesome deals have become harder to find. 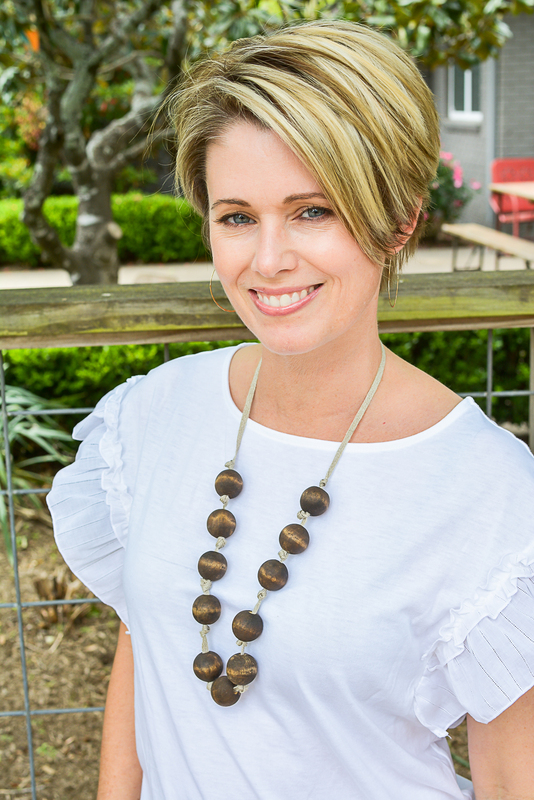 Round Top’s growing popularity is awesome, but the prices reflect a surge in demand somewhat. I still found some great steals and that always keeps me coming back for more. That and the endless inspiration around every single corner. I had a blast spending a few different days at the show with some great friends. The exploring was good but the conversation is always better. 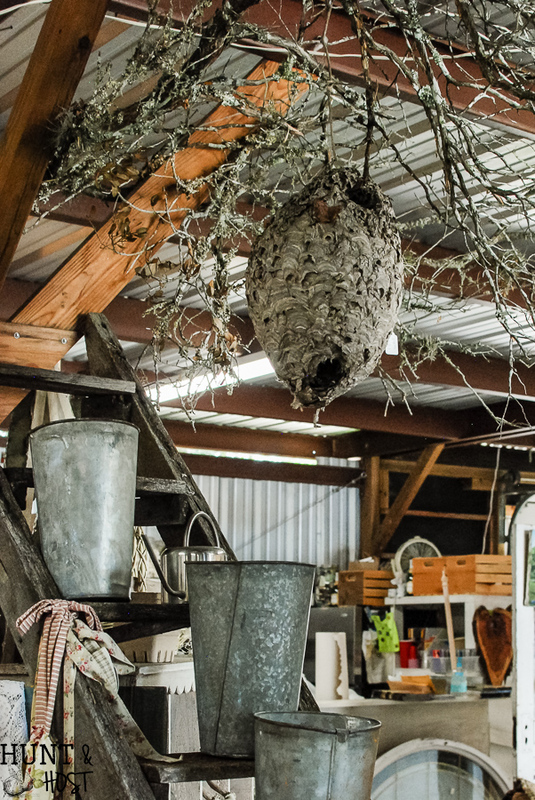 You may have missed this Round Top Antiques Week, but these trends can give you some direction when out hunting in your neck of the woods. 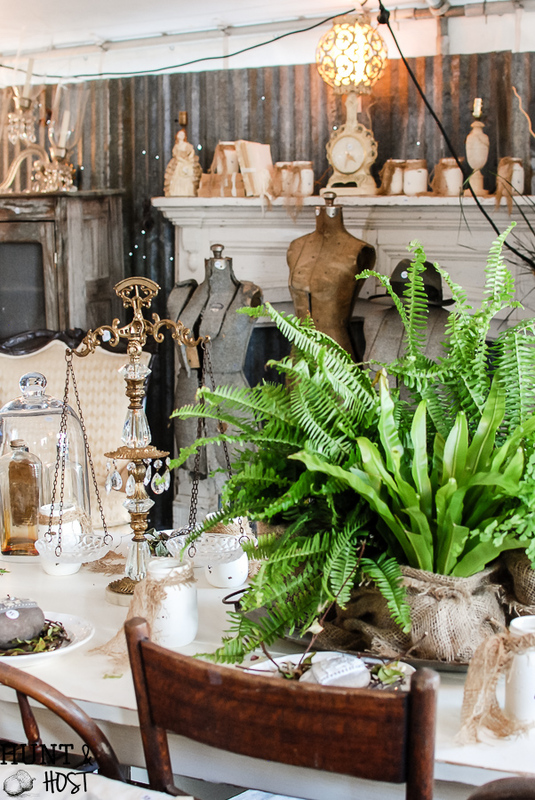 Your home will look curated and on trend in no time. If you are headed to this famous hunting ground soon and need some tips, check out my posts here, here and here for more information! You’re gonna love it! 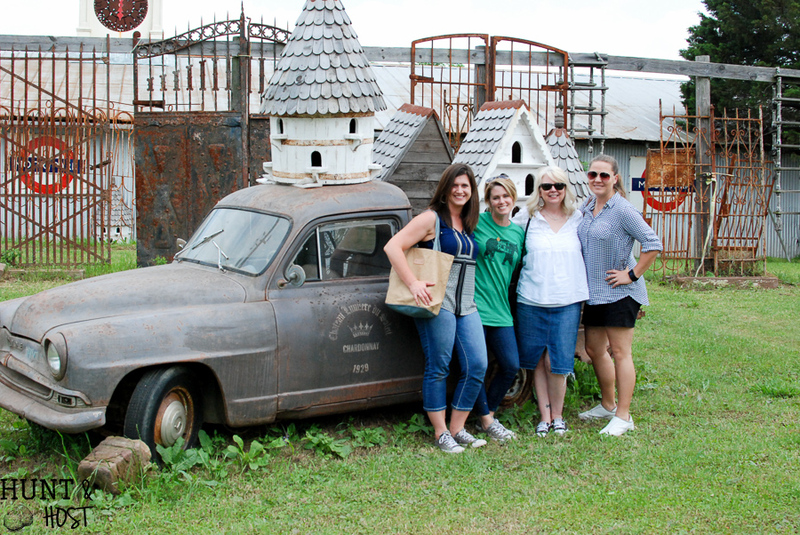 I enjoyed my little trip to round top via your blog! So many goodies. I can imagine could be a bit overwhelming! I love knowing your take on the “trends”, even tho I like to think I make my own trends! ???? 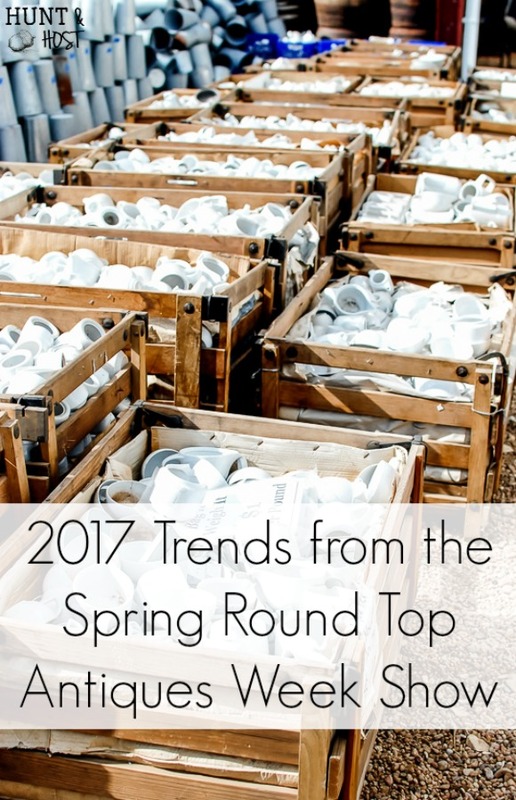 I have never made it to Round Top (read envy here) and I don’t pay much attention to trends, but gosh that stuff looks an awful lot like stuff I have (or wish I did). Just in mass (!) and on steroids! Round Top is completely on steroids lol! You would love it. There is obviously nothing there I “need” but tons of stuff I would love to have or do already as well! It’s a fun way to spend the day for sure! Wow! I’ve never seen that many items in one spot. It’s A LOT of stuff…and to think it’s all gone in a week, it’s exhausting to think of the packing and hauling these vendors do! Oh my gosh! I wish I lived closer . . . so much fun! It’s worth at least one road trip! Sounds like you had a great time. My favorite thing to look for at estate sales is old metal containers, i always go outside before i go inside.The pictures were really fun, thanks. The outside stuff is a favorite of mine too! We did have a blast! Love the pictures. I am going to Round Top in June. I hope to visit some shops along the way. Fun! All the little towns on the way, no matter the direction have at least a few little store to hunt in, you will have a great time. 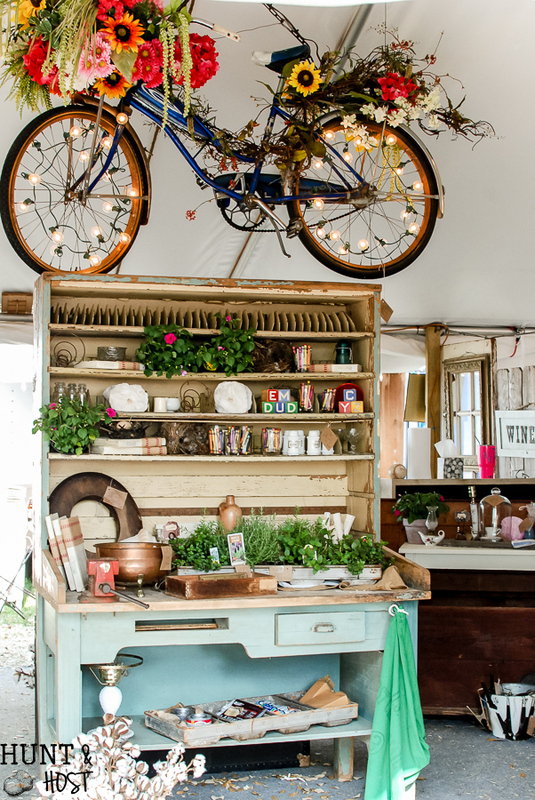 How often is round top open every year? Is it open all the time or just certain times of the year or month, like canton? 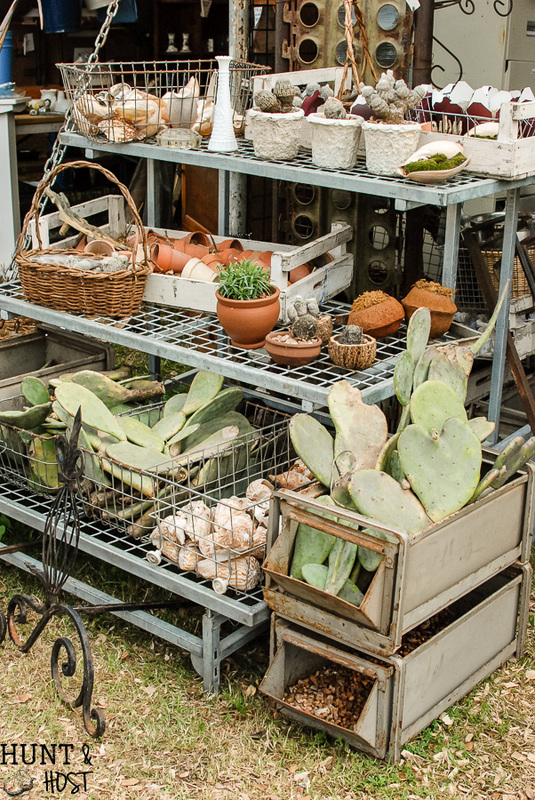 Round Top Antiques Week happens twice a year in April and October, they do have smaller shows through out the year, but not as elaborate as the two weeks mentioned. 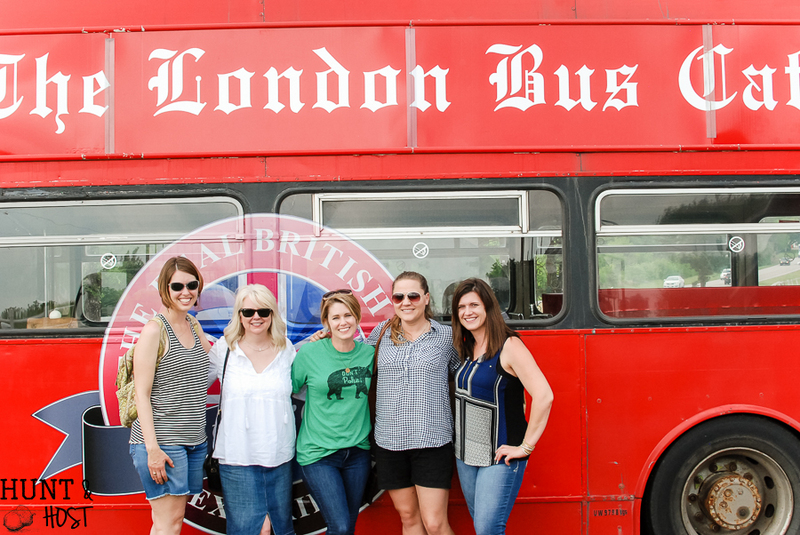 If you go to the Round Top CHamber of Commerce page you can find lots of dates and links to plan if a great time to go. I hope this helps! Round Top…..someday……..thanks for sharing. Lots of inspiration and ideas. It’s always fun to go with friends! 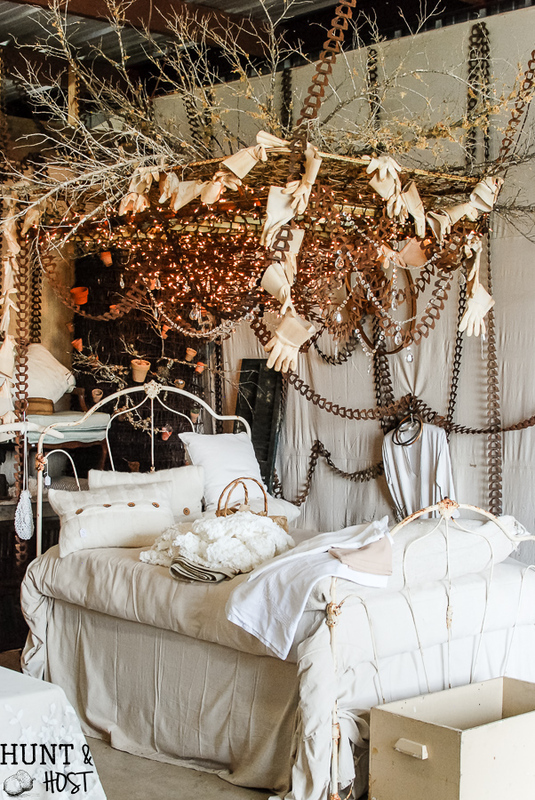 I look forward to reading your future posts with decorating ideas you gleaned from your trip. Thank you for sharing, although it makes me just a little heart sick when I think over the past years how much of that “stuff” I just got rid of. I love how people have incorporated it all to look “fresh” again. lol – I know!!! it’s hard to hang on to it all so don’t feel bad, someone else is probably enjoying all your purging! It is so popular right now and that demand has definitely upped the prices unfortunately. There are still treasures to be found though, just farther between. Inspiration galore though!!! 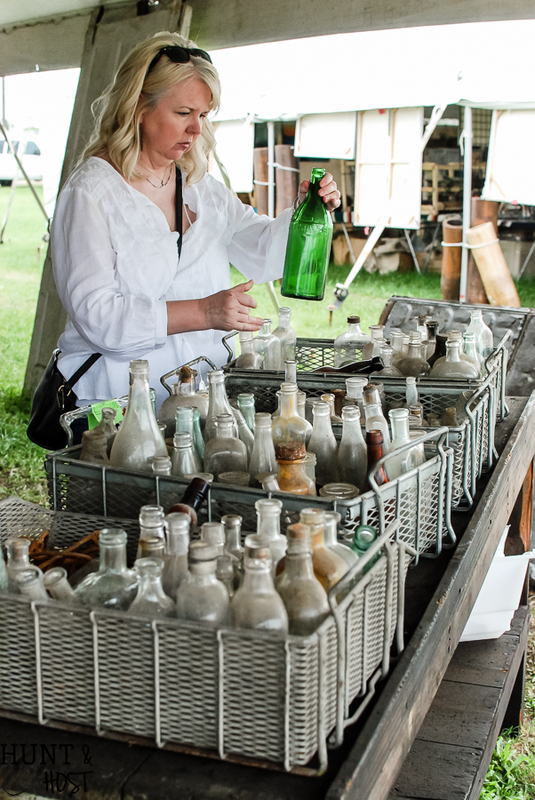 The prices have gotten so crazy it may well be the end of fun times at Round Top. So much stuff from Mexico, China and fake European that we left after 2 days, Had much more fun at the antique shops like the twin shops in La Grange TX. Our annual girls get-together may have to be for some other event. Next year we’re going to Calif to the Rose Bowl. Big do’ns for this Mississippi gal! wow – that is a big trip! I am slightly jealous 😉 I would love to do that and the 100 mile garage sale!!! garage sales are the best deals! 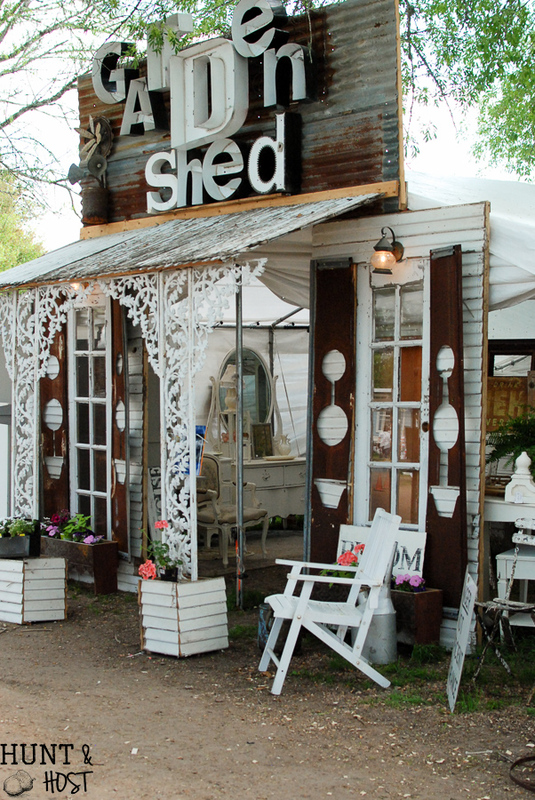 you would adore it – it’s a bucket list spot for anyone who loves antiquing/junking! We do the Great Nebraska Junk Jaunt in September. It is amazing! 4 days and seveal miles of the best flea markets, rummage sales, and vendors selling everything from home grown garlic to furniture to everything else. We had no problem filling a 12 foot trailer! I would LOVE that! I may need to add it to my bucket list!! !